Team — Octa - The friendly chatbot for kid travelers! Zara Khanna is the Founder of Octa, the only travel chatbot that helps find cool things to do and epic places to visit for kids when travelling. She is a 4th grader studying at United World College (UWC) in Singapore. She loves to travel and code, and thinks that the world is a happier and more fun place when kids travel and learn about each other. Zara is coding Octa in Python, created Octa’s personnna and is working on putting it on different platforms like Facebook and in different languages like Mandarin. She is Founder of G.R.E.A.T. (Girls Resilient, Enterprising, and Amazing at Tech), a student tech club for girls who love to code in Singapore. She is also the Singaporean Ambassador of Superheroes, a leadership program for girls headquartered in Estonia. Zara has travelled to over 44 countries with her family and enjoys reading, rock climbing and roller blading, and planning outings with her friends and cousins. If you want to check out Zara's travel adventures, watch her Facebook show here. Jonathan is a tech- and education-enthusiast who spends most of his time tinkering with electronics and code. A graduate of National University of Singapore (NUS), he curates kids tech curricula, and coaches Zara as she builds Octa and its features. Rohit studied computer science at National University of Singapore (NUS) and ETH Zurich. 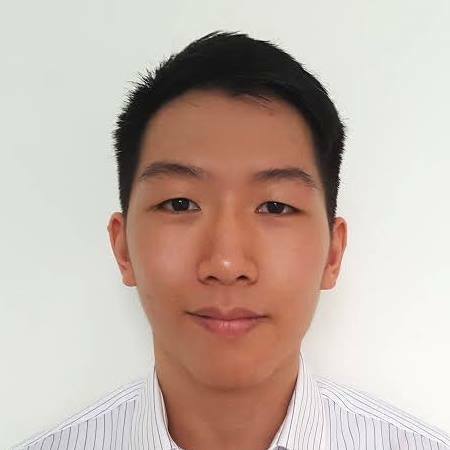 He works at a fintech company in Singapore and coaches Zara on python and algorithms. He loves traveling, hiking and writing. Allison is a freelance travel writer who travels full-time, taking out apartments and making her home in different places around the world. She is an awesome writer and oversees the content for all the fun places and events Octa recommends. Karoli Hindriks is the amazing Founder of Jobbatical, a platform that connects companies with people who want to live and work in different countries. She and Zara (Octa’s Founder) share the belief that people should travel, be connected and the world shouldn’t have borders. Zara feels super lucky to have Karoli as her mentor.